It’s common knowledge that the William & Mary student body is filled with academic all-stars. Some students, in particular, are recognized for their hard work each year by internationally known organizations with monetary awards, scholarships and fellowships, some of which allow them to travel around the world. Here’s a look back at the students who, with help from the Charles Center, received major nationally and internationally competitive awards in 2017. Fulbright Scholarship: Thirteen W&M students departed for international locations from Mexico to Taiwan for the 2017-18 academic year as recipients of prestigious Fulbright scholarships. Jessica Armstrong ’17, Melissa Guidry ’17, Hayley Hahn ’17, Michael Kopreski ’17, Aaron Bayles ‘17 and Ph.D. student Mallory Moran each received academic awards to conduct individually designed research projects while abroad, and Kyra Bell ’17, Ellie Dassler ’17, Ebimene Doubeni ’17, Sophia Farion ’17, Katie Freund ’17, Victoria Johnson ’17 and Meredith Wolf ’17 received grants to participate in the English Teaching Assistant program. Funded by the U.S. Department of State, the Fulbright U.S. Student scholarship is the largest U.S. exchange program offering recent college graduates and young professionals the opportunity to pursue international graduate study. The program awards 1,900 grants annually and operates in more than 140 countries worldwide. Goldwater Fellowship: Kyle Lopez ’17 received a fully-funded Goldwater Fellowship to attend New York University’s Master of Fine Arts program. 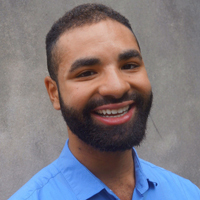 Lopez graduated in May with degrees in English and marginalized community studies, a self-designed major that is a combination of government, linguistics and Africana studies, among other subjects. After his interest in poetry was rekindled by taking a creative writing class taught by Mildred and J.B. Hickman Professor of English and Humanities Henry Hart, Lopez forwarded an application and portfolio of his poetry to NYU’s M.F.A. program. More than 1,000 people apply annually for the Goldwater Fellowship, with only 20 to 25 being accepted and even fewer receiving full-tuition scholarships. Goldwater Scholarship: Zachary Nimmo ’18 was named a Goldwater Scholar by the Goldwater Foundation. Kevin Nelson ’18 and Likhitha Kolla ’18 were named Honorable Mentions. The prestigious award is given annually to sophomores and juniors who intend to pursue careers in the natural sciences, mathematics and engineering. Nimmo, a chemistry major and Monroe Scholar, is one of 240 students nationwide to receive a scholarship from a pool of 1,286 applicants. An additional 307 nominees were named Honorable Mentions. Since the spring of his freshman year, Nimmo has conducted research in a biochemistry lab with Douglas Young, assistant professor of chemistry at W&M and Nimmo's advisor, where he studies bioconjugations via unnatural amino acids, which can be developed into targeted cancer therapies. Udall Scholarship: Talia Schmitt ’18 and Mackenzie Neal ’18 were among just 50 students nationwide to receive prestigious Udall Scholarships. Going to those selected from a pool of nearly 500 applicants, the awards are reserved for students who intend to pursue careers related to the environment, Native health care or tribal public policy. Neal, a government major with a global studies minor, is W&M’s first Udall scholar in the tribal public policy category. While Neal is a member of the Quapaw Tribe of Indians in Oklahoma, she only learned of her heritage when she was 8 or 9. Schmitt began a lifelong love affair with the outdoors on a weeklong camping trip in California with her 6th-grade class. She was so moved by the experience that she made it her mission to become an influencer, founding the Eco-Schools Leadership Initiative where she trains high school and college students to educate elementary school students throughout Virginia about various environmental issues. Mellon/ACLS Fellowship: Casey Schmitt, a Ph.D. candidate in history at W&M, was one of only 65 scholars to receive a 2017 Mellon/ACLS Dissertation Completion Fellowship. Chosen from a pool of more than 1,000 applicants, Schmitt’s research focuses on the 17th century Caribbean. DOE grad student research award: Joseph Karpie, a Ph.D. student in William & Mary’s Department of Physics, was named a recipient of an award from the Department of Energy’s Office of Science Graduate Student Research Program. He studies theoretical and computational aspects of quantum chromodynamics at the DOE’s Thomas Jefferson National Accelerator Facility in Newport News.